Katrina Fanning has joined the Canberra Raiders board as the club continues its bid to boost the involvement of women in rugby league. Fanning, rugby league's most capped female player upon her retirement, has devoted herself to supporting Aboriginal and Torres Strait Islander communities and their involvement in policy-making in recent years. 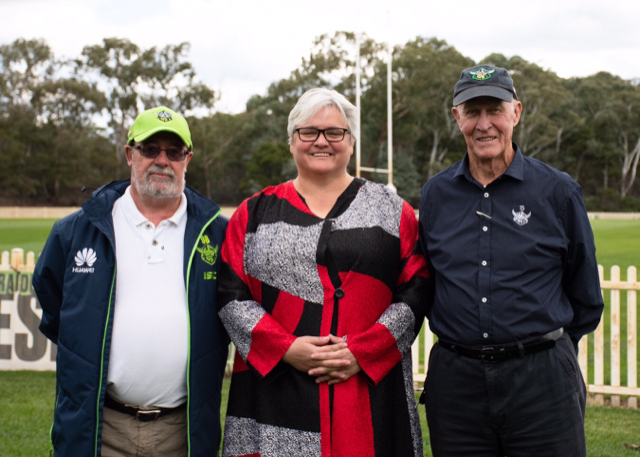 The Canberra Raiders have announced today, women’s rugby league pioneer Katrina Fanning has been appointed to the Canberra Raiders Board of Directors. A proud Wiradjuri woman, Ms Fanning paved the way for all women wanting to play rugby league, playing in the inaugural Jillaroos test in 1995 and making a total 24 appearances for Australia. Ms Fanning has extensive board experience and is the current Chairperson for the Australian Rugby League Indigenous Council. Her professional experience also includes working in senior management roles, specialising in Indigenous affairs and Government relations. Ms Fanning said she is excited about the prospect of joining the Raiders board to firstly learn the direction of the club and then assist in achieving the goals they have set. “The Raiders have had a very stable and very well-run Board for a long period of time, so I need to come on board and understand the direction that has already been set and try and complement that,” Ms Fanning said. Ms Fanning joins existing board members Yvonne Gillett and Bronwyn Fagan as the third female board member of the club but says it’s not just about having a set number of women on the board, it’s about ensuring the board is skilled in helping to achieve club outcomes. “I think having diversity on the board means we leave no stone unturned, but one of the attractions of the Raiders board is that diversity is also about having skills and talent at the table,” Ms Fanning said. Raiders Chairman, Dr Allan Hawke, said the appointment of Ms Fanning to the Canberra Raiders Board was a huge coup for the club, with experience in both her professional and rugby league careers a valuable addition to the club board. Excellent decision. Hopefully her first priority is a Raiders women's side. Green eyed Mick wrote: Excellent decision. Hopefully her first priority is a Raiders women's side. If the NRL and the Raiders don't invest in the women's game they are going to lose an entire generation of potential to soccer and AFLW. Sounds like a really strong appointment. Her resume is very impressive. Hopefully she brings a fresh approach and some new ideas to the Raiders board. Scared money dont make none. Womens Rugby League already lost an entire generation to union or nowhere when they let the ACT comp fold a decade or so back- a despicable move & just laughable in the face of what Union & AFL were offering at the time. 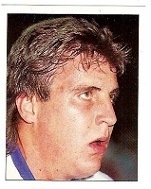 Typical of rugby league administration. I watched a lot of ACT women's league at the time, Fanno was tough & brutal & not necessarily sporting on players half her size or less- a bit of the early days grubby Gallen about her play imo. If she's that tough in the boardroom she'll do well for herself. There's a new face at the Canberra Raiders, with women's rugby league pioneer Katrina Fanning joining the Board of Directors. Tim Shaw spoke to the former Jillaroos star, who replaces John Mackay.